Ken DeVice is the General Manager at our Cortez location. He has been a part of our AMOB family for over 13 years and moved to Florida in 1980. Previously, Ken worked with Roadhouse Grill, El Conquistador Country Club (prior to being known as the IMG Golf & Country Club) and Lone Star Steakhouse. 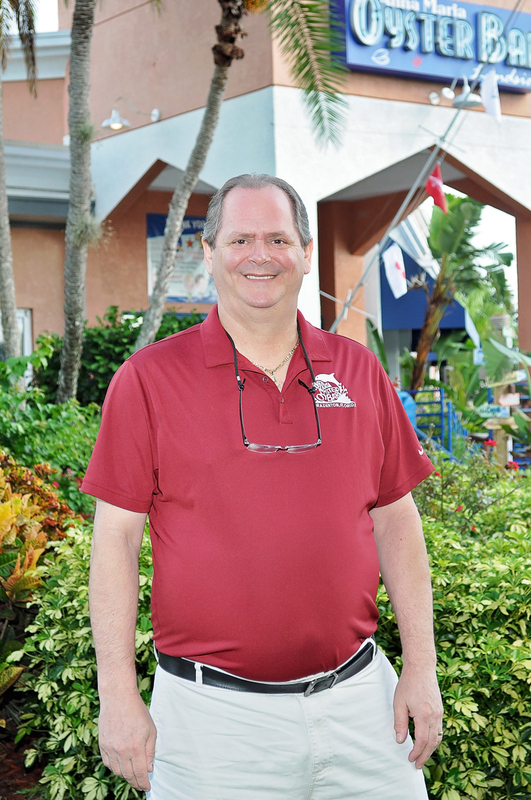 At the Anna Maria Oyster Bars, Ken favorite menu item is our mouthwatering Danish Baby Back Ribs. In his free time, he enjoys cooking, spending time with family and watching NASCAR. Mainly for the challenge…you never know what is going to happen in the day of the life at AMOB! I make sure every guest has nothing short of a positive experience. Life is 10% aptitude and 90% attitude. I don’t do karaoke…and ‘you’re welcome’ for that!